Grape growers, packers, wine makers, and others interested in the production of grapes and wine in the San Joaquin Valley are invited to the University of California’s Kearney Agricultural Research and Extension Center, on Tuesday, 13 August 2013, from 7:30 am until 11:00 am for Grape Day. 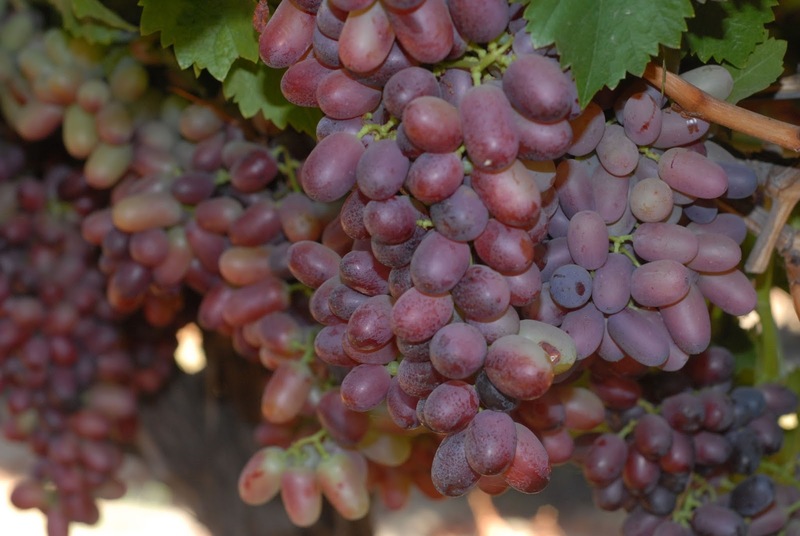 Grape Day is a biennial event where UC scientists and their collaborators from other institutions showcase research results that are relevant to local viticulturists and enologists. Topics to be discussed this year will include: Effects of water deficits on water relations and productivity of numerous red wine grape cultivars grown in the San Joaquin Valley, Ecology of Mycotoxin-Producing Aspergilli in Raisin Vineyards, Effects of pre-harvest Calcium chloride and Chlorine dioxide applications on fruit quality of Crimson Seedless table grapes, Wood disease management options for grapevines in the San Joaquin Valley, Movento in Table Grapes: understanding use patterns and expectations, and Understanding Wine Oxidation. 1.5 hours of DPR continuing education credit hours have been applied for.